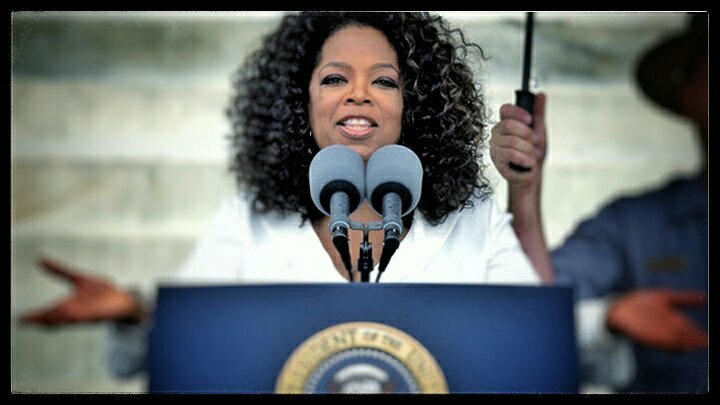 Oprah 2020? In America, yes, it is conceivable. When a belligerent and dubiously successful businessman and reality TV celebrity can become President of the United States, there is no reason to suppose that a narcissistic billionaire TV talk show host can’t potentially run for the office as well, and plausibly win. The US presidency has largely become like a short-term version of the British monarchy; a figurehead whom people either love or hate based on entirely subjective and emotional reasons. Style has not only triumphed over substance, substance is no longer part of the equation. The Democratic Party continues to miss the point and to disappoint. All of the same reasons they felt Trump was unqualified to be president apply to Oprah Winfrey, yet, after Trump’s victory, they are rushing to embrace his model. She is almost an archetypically perfect point-by-point anti-Trump. Again, it is not because they are opposites, but because they are twins. She is his liberal incarnation; a Black, female, Democrat version of Donald Trump. Both are obscenely wealthy, Oprah more so; both have willed themselves into popular culture; both are celebrity icons; both are endlessly enamored with their own names and shameless about self-promotion; both inhabit the highest echelons of elite power in business and the media; both are (in real life) utterly disconnected from the daily struggles of average people; and (since his campaign and election) both Trump and Winfrey can lay claim to broad popular support. Both, also, have absolutely no political expertise or experience; though by 2020 Trump will have 4 years of experience tweeting about the brilliance of his non-accomplishments. As a rags-to-riches Black woman, daughter of a single mother, with a record of advocating liberal causes, and connections with high level potential donors; Winfrey ticks all the right boxes for the Democratic National Committee. She is technically an outsider in Washington, as Trump was, and can appropriate the “maverick” persona that worked in his favor in 2016. But, all of these calculations fail to factor in the underlying reasons for Trump’s election win; namely, that there are real economic and political issues that genuinely matter to the population, which have been entirely ignored by both political parties for generations. We can perhaps best begin on this topic by mentioning the issues that matter very little to most people, but which are at the heart of the liberal agenda and about which Oprah Winfrey has been outspoken; namely, gay rights; the definition of gender and transgender rights; gender equality; hate speech; police brutality; diversity in institutions of power; sexual harassment in Hollywood (and in the business world generally); and gun control. While none of these issues is trivial, they are dwarfed in their significance by the fundamental economic grievances of Americans who have seen their real wages remain stagnant since the 1970s, while actual productivity has risen by around 75%. Income inequality has grown radically over the past 3 decades; the last two generations in the US (Generateion X and the Millennials) are the first generations in American history that are worse off than their predecessors in terms of opportunity and financial stability. Outsourcing of jobs, relocating factories outside the US, and so on, have obviously hurt workers, and this was one of the core themes of the Trump campaign that engaged with voters. Blue collar workers, the middle class, and rural communities gambled on Trump; voters who were taken for granted as Democratic Party mainstays, precisely because the Democrats had all but abandoned them since (at least) the early 1970s. Embracing Oprah Winfrey does not in any way represent a reversal of that abandonment. As pointed out above, the issues she is associated with are issues of marginal importance to the traditionally Democrat voters who flocked to Trump. Personally, I doubt Winfrey will run; but ultimately that isn’t the point. The point is that the Democratic Party does not get the point, and nothing demonstrates that more clearly than their excitement over the possibility of an Oprah candidacy. إن شعب ميانمار، كله مظلوم، ففرض الحكومة وصندوق النقد الدولي والبنك الدولي لإصلاحات نيوليبرالية، وفتح الأسواق أمام الشركات متعددة الجنسيات، وتسهيل الاستثمار الأجنبي، كل ذلك كان له أثره المعتاد (والمتوقع) من تفاقم الفقر، وزيادة الفجوة بين الأغنياء والفقراء، وخلق الصراع الاقتصادي العام في البلاد. وهذا طبعاً أثار سخطًا واضطرابات مدنية على نطاقٍ واسع. تحاول الحكومة أن تدير تلك الاضطرابات بتحويلها إلى كراهية دينية وعرقية، وأزمة الروهينجا ليست الصراع الوحيد في ميانمار، وهم ليسوا الوحيدين الذين يتعرضون للتعذيب، والقتل، وإحراق قراهم ومصادرة أراضيهم. فهناك صراعات مستمرة داخل خمس ولايات على الأقل داخل البلاد؛ وهناك ارتباط ملحوظ بين مناطق النزاع والمشاريع الاستثمارية، والحكومة في حالة حرب بالمعنى الحرفي مع المواطنين لأسباب اقتصادية في المقام الأول، واستراتيجيتهم الرئيسية هي الحفاظ على حالة حرب المواطنين مع بعضهم البعض. وهذا هو السبب في أنه ليس من المفيد أن نقبل سردية الكراهية الدينية التي كثيرا ما تستخدم لتفسير سبب القمع للروهينجا، وهذا هو السبب في أن الرد على هذا القمع بأي نوع من الخطابات المعادية للبوذية أو مشاعرهم سيأتي بنتائج عكسية. نعم، هناك إرهابيون بوذيون متطرفون تدفعهم كراهيتهم الشخصية للإسلام والمسلمين، ولكن هؤلاء تم تحريكهم وتحريضهم وتحصينهم من قبل الحكومة لأسباب لا علاقة لها بالدين. فهم مجرد أداة لإدارة الصراع المستخدمة من قبل الحكومة في ولاية أراكان لتحويل مسار العداء لينصب على الروهينجا، الذين يتم وصفهم بأنهم مكروهين رسميًا ولا آدميين. ولكنهم ليسوا وحدهم من يعانون، وإن كانوا الأكثر والأسوأ معاناه من غيرهم. في نهاية الأمر، ما يجب أن نسعى إليه هو إعادة تحويل وجهة الاضطرابات وغضب الناس نحو الهدف المشروع، وهو: حكومة ميانمار، وبرنامجها النيوليبرالي. كما أننا بحاجة إلى بناء تضامن وتكافل بين الناس، بدلا من إشعال العداوات التي لا يستفيد منها سوى النخب الحاكمة. The people of Myanmar, as a whole, are oppressed. The government’s imposition of IMF / World Bank neoliberal reforms, the opening of markets to multinational corporations, and the facilitation of foreign investment, have all had the usual (and predictable) effect of worsening poverty, increasing the gap between rich and poor, and creating general economic strife in the country. This, of course, causes widespread discontent and civil unrest. This is why it is not helpful to accept the religious hatred narrative that is often used to explain the repression of the Rohingyas; and this is why it is absolutely counterproductive to respond to this repression with any sort of anti-Buddhist rhetoric or sentiment. 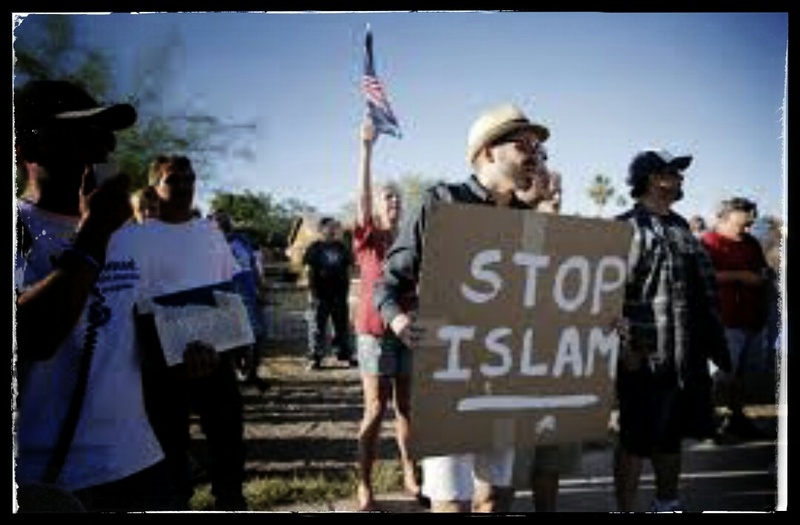 Yes, there are extremist Buddhist terrorists who are motivated by their own personal hatred of Islam and the Muslims, but they have been empowered, incited, and granted impunity by the government for reasons that have nothing to do with religion. They are merely the instrument for conflict management being used by the government in Arakan state to divert hostility towards the Rohingyas, who have been designated as an officially loathed and dehumanized population. But no, they are not the only population that is suffering; they are just suffering worse than any other. Ultimately, what we need to strive for is to redirect the unrest and anger of the people towards the legitimate target: the Myanmar government, and its neoliberal program. And we need to build solidarity between the people, not exacerbate the animosities which only benefit the ruling elites. A United Nations report on the massive abuses being committed in Myanmar against the Royingya Muslims was released last Friday detailing systematic violence against civilians, including gang-rapes by security forces, and the killing of children. Later that night CNN aired a report about Rohingya militants involved in a violent insurgency in Rakhine state in Myanmar, where the Muslim minority is being severely repressed. Here we have to concur, uncomfortably, with Donald Trump’s assertion that CNN is “fake news”. The Rohingyas are often referred to as “the most persecuted minority in the world”; and with good reason. In 1982 they were stripped of their citizenship and people whose families have lived in Myanmar for hundreds of years were turned into “illegal immigrants” overnight, and rendered stateless. Their very existence was invalidated. This legal obliteration of their status as citizens opened the flood gates for extreme discrimination and brutality. The Rohingyas have no freedom of movement, no property rights, and have enormous difficulty even getting legally married. They are regularly attacked, their homes and villages burned to the ground, they are literally forced into slave labor, women are raped by soldiers and Buddhist civilians with impunity. In short, they have been designated as officially loathed, despised, and disposable. 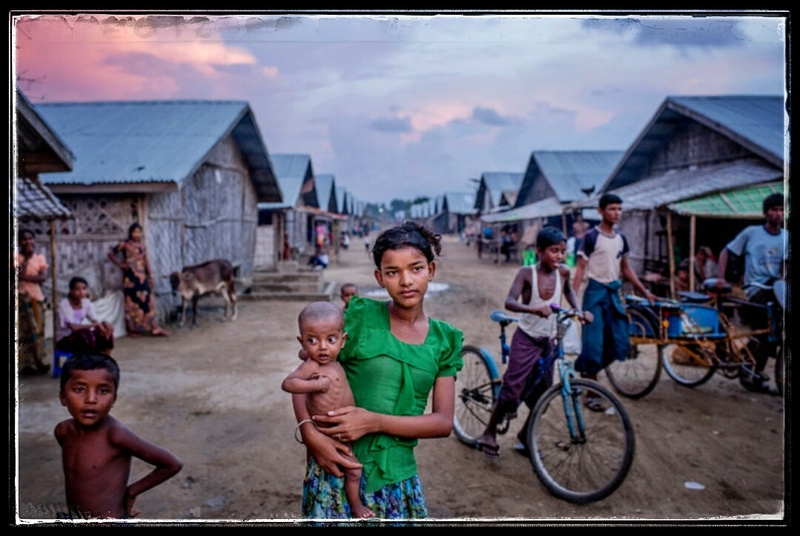 Despite all of this, the Rohingyas, as a community, have not turned to violence. 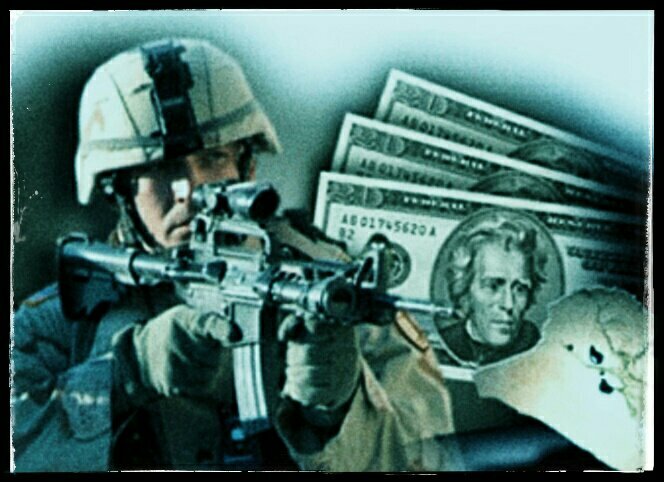 While a militant group has emerged for the purpose of self-defense, it is very small, disorganized, possesses only primitive weapons, has no funding, and is not connected with any global Jihadist networks. And, by and large, the Rohingyas want nothing to do with them. It should be obvious that any sort of armed insurgency would be suicidal in Rakhine, and the eagerness to exaggerate the presence and influence of militancy among the Rohingyas should indicate just how useful armed resistance would be to the authorities. The UN report confirms more explicitly than ever before the extent to which the Rohingyas are powerless victims of state violence, so portraying them as a dangerous security threat would go a long way to undermine any sympathy for them, and deflect criticism of the regime. In the era of global Trumpism, the Rohingyas have at least two strikes against them: they are Muslim, and they are classified as immigrants. So, why might Western media adopt the narrative of the Myanmar government? Why is the dehumanization and persecution of the Rohingyas useful for anyone outside of Myanmar? Well, after decades of economic isolation by the West, Myanmar has recently been integrating into the global economic system. The government has adopted neoliberal policies and the macroeconomic reforms “recommended” by the International Monetary Fund and the World Bank, sanctions have been lifted, and multinational corporations have been entering the country in droves. Myanmar is geographically a “crossroads” country, providing investors with immediate access to at least half a billion regional consumers. 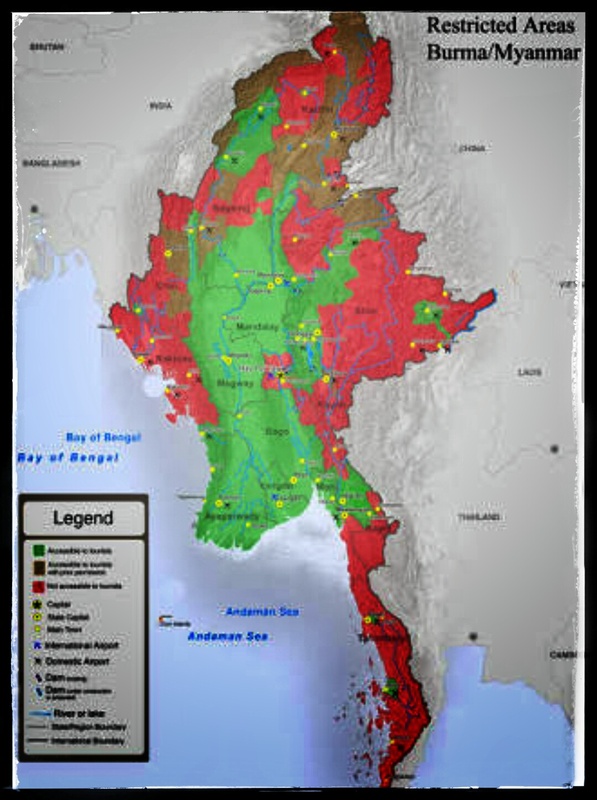 Myanmar possesses natural gas, oil, precious gems, and arable land; and Rakhine state specifically has one of the longest coastlines, making it ideal for trade and potential tourism. Indeed, one of the areas from which the Rohingyas were recently displaced by an army “clearing operation” has been earmarked for the establishment of a “special economic zone” for foreign businesses. China (Myanmar’s biggest foreign investor) began construction of an oil pipeline through Rakhine in 2009, which led to massive land confiscations and displacements. Current Foreign Direct Investment (FDI) in Myanmar is at a record high, nearly double its previous peak in 2014. The economic fallout of the government’s neoliberal path has been intensification of poverty and a widening of the gap between rich and poor. Discontent among the youth has been growing everywhere in the country. This has made it all the more urgent for the regime to divert popular anger, while also increasing repression, particularly in areas of the country with vital economic importance. Hence, the existence of an officially hated segment of the population comes in handy. This is particularly true in Rakhine state, which is one of the poorest in Myanmar, and whose population is ethnically distinct from the ruling elites in Yangon. Rakhine has a history of secessionist sentiment, and, of course, any such autonomy or independence would be devastating to the economy of Myanmar were it ever achieved. Redirecting the hostility of the ethnic Rakhine Buddhists away from the central government, and instead towards the Rohingyas is a very effective strategy for the government, and thus, for the international business community. In my view, it is not that the government actually wants to complete Genocide against the Rohingyas, they want to maintain a genocidal sentiment, preserve the Rohingyas as eligible for extermination, and just keep the hatred alive as long as they can. This can both keep the Rakhine majority distracted and it can provide a rationale for military occupation of the state, in a manner very similar to what the central government of Nigeria has done in the resource-rich and utterly impoverished Niger Delta. And, again, this is intrinsically connected to the interests of foreign investors and multinational corporations. تعمل حكومة ميانمار على جعل الناس يمقتون #الروهينغيا حتى لا يلاحظون كيف أن الحكومة تكره الشعب بأكمله، فالحكومة المدنية تعتبر إلى حد كبير واجهة، أو قناع يقوم بارتدائه ما يبدو أنه مجلس عسكري مستمر في الحكم (كما في مصر)، أما النخب الحاكمة فهي تسير على منهاج النيوليبرالية الوحشية بشكل خاص، وفقا لإملاءات صندوق النقد الدولي والبنك الدولي، من أجل تحويل البلاد إلى البؤس ومن أجل إثراء أنفسهم بصفة خاصة. تتعرض موارد البلاد البشرية والطبيعية للنهب من قبل الشركات متعددة الجنسيات، فيم يتم بيع الشعب كالعبيد. وفي حين تزداد شريحة صغيرة من المجتمع ثراء، وترتفع مبيعات المواد الثمينة، تظل الغالبية العظمى من الناس يعيشون في فقر مدقع، ويغرقون في الديون. الحكومة تقوم بتعليم الأطفال أغاني الكراهية ضد الروهينغيا، والبوذيون الغوغائيون يحرضون أتباعهم ضد المسلمين، والشعب يتم إلهائه وصرف نظره عن فقره وما يتعرض له من اضطهاد، فيتم التنفيس عن السخط المتنامي عن طريق إخراجه ضد القطاع الأكثر ضعفا والأقل تهديدا، والمكروه الرسمي للسكان. فالعاجزين يتم ضربهم بمسلوبي القوى، لا لشيء إلا لمنعهم من مواجهة الأقوياء. نعم، ينبغي أن يبدو كل هذا مألوفا جدا. فميانمار صورة مصغرة من بقية العالم، والروهينغيا ليسوا إلا الفخ المخصص لإثارة الغضب الشعبي والإحباط في ميانمار، أما المسلمون فهم الفخ العالمي المخصص لتوجيه كل مرارة وعداء الناس في الولايات المتحدة وأوروبا بعيدا عن الشركات والحكومات التي تخنقهم بتدابير التقشف. إذا كنت تريد أن تعرف كيف قد يكون المستقبل، فعليك النظر إلى أراكان، وإن كنت ترغب في تغيير ما يبدو أنه سيكون المستقبل، فعليك بتغيير الوضع في ولاية أراكان. The Myanmar government is teaching the people to detest the #Rohingyas so they do not notice how much the government detests the entire population. The civilian government is largely a facade, a mask being worn by what continues to be a ruling military junta (as in Egypt), and the ruling elites are pursuing a particularly brutal neoliberal path, according to IMF and World Bank dictates, to the miserable detriment of the country, and to their own personal enrichment. The country’s resources, both human and natural, are being plundered by multinational corporations, and the population is being sold into slavery. While a small segment of the society is getting richer, and high-ticket items are increasing in sales, the overwhelming majority of the people are living in dire poverty, and drowning in debt. The government is teaching children to sing songs of hate against the Rohingyas, Buddhist demagogues are inciting their followers against the Muslims, and the people are being kept diverted and distracted from their own impoverishment and oppression; venting their growing discontent against the most vulnerable, least threatening, and officially loathed segment of the population. The disempowered are pitted against the most powerless group, primarily to prevent them from confronting the powerful. Yes, that should sound very familiar. Myanmar is a microcosm of the rest of the world. Just as the Rohingyas are the designated decoys for popular anger and frustration in Myanmar, the Muslims are the decoys globally to channel the bitterness and hostility of people in the US and Europe away from the corporations and governments which are strangling them with Austerity measures. If you want to know what the future looks like, look at Rakhine. And if you want to change what the future looks like, change the situation in Rakhine. On October 9th, the IMF was scheduled to announce the release of the first tranche of money from a $12 billion loan to Egypt. Approximately 2 weeks before the announcement was to be made, individual Egyptians self-mobilised, without instruction from party leaders or groups, and began sending messages to the IMF representative in Egypt, and to the local offices of multinational companies, expressing opposition to the loan and its accompanying Austerity program. Messages warned that, since the neoliberal policies demanded by the IMF are designed to benefit multinationals and foreign investors, the revolutionary movement would impose consequences on the private sector if the loan proceeds. A few days before October 9th, the IMF announced that the decision on the loan would be indefinitely delayed. The American, British, and Canadian embassies issued alerts to all their citizens in Egypt to beware of possible risks around the 9th of October. The Ministry of Finance began hiring recent graduates to open at least 2 Facebook accounts each to promote a positive opinion about the loan on social media. In short, the people forced their way to the IMF negotiating table. Christine Lagarde, Head of the IMF, suddenly began to include mention of the Egyptian people when discussing the policy reforms required by the loan, “I think the measures that the Egyptian authorities…and the Egyptian population are considering in order to improve the economy are the right ones”, she said in an interview with Al-Jazeera. As there has not been any referendum on the loan in Egypt, and the population had no role in negotiating the agreement with the IMF, Lagarde is implicitly acknowledging that, by their collective action, the Egyptian people have suddenly made themselves part of an equation from which they had been very deliberately excluded; and the acquiescence of the population is now an issue for the IMF, though it never has been before. This is a significant development at the most critical moment Egypt has faced since 2011. This will be the biggest loan the IMF has ever granted anyone in the region, and it will force policies on Egypt that will drastically undermine the country’s potential for economic sovereignty and political independence, regardless of who may sit in the presidential palace. The Islamist opposition has been uniformly silent, conspicuously so, even the new Ghalabah Movement, which has organized mass protests for November 11th and claims to represent the poor and downtrodden of Egypt. Nevertheless, the people took the initiative against the loan despite the apparent apathy of their leadership. All the opposition parties should take note of this fact. Frequently I have been told by Islamists that the ordinary people cannot understand the complexities of economics. If the collective action of the Egyptian people, acting as individuals to oppose the loan, was not sufficient to disprove this theory, we saw recently the powerful comments by a tuk-tuk driver in Egypt eloquently summarizing the economic situation in the country, better than anyone from the Islamist elite. It is well past time for the Islamist opposition to begin finally to address the real policy issues that are intensifying the suffering of the Egyptian people. It is time to stop playing politics and jockeying for position, and it is time for them to use their platforms to discuss the specific issues that are affecting the daily lives of the masses, because the masses are not waiting.